Tunisia’s Islamist Ennahda party today got to work on forming a coalition government after winning a strong mandate in the Arab Spring’s first elections. NATO formally decided to end its seven-month mission in Libya on October 31, a diplomat said today, despite calls from the country’s new rulers for air patrols to continue until the end of the year. 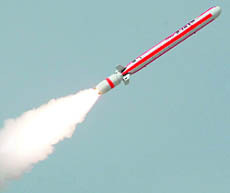 Pakistan today tested nuclear-capable Hatf-7 cruise missile having a range of 700 km that can hit targets in India, saying the launch was aimed at consolidating the country’s strategic deterrence capability and strengthening national security. A Pakistani judge today issued arrest warrants for former President Pervez Musharraf and ex-Premier Shaukat Aziz for their alleged involvement in the killing of Baloch nationalist leader Nawab Akbar Bugti in 2006. The opposition PML-N today launched a scathing attack on President Asif Ali Zardari, with senior party leader Shahbaz Sharif saying the Pakistan People's Party chief and his associates would be "hung upside down" at a square if he did not resign from his post. Floods that have sparked an exodus from the Thai capital crept closer to the city centre today, but hopes grew that emergency barriers would prevent a major overflow from Bangkok’s main river. The city of 12 million people is on heightened alert because of threats on two fronts-a seasonal high tide this weekend that is expected to coincide with the arrival of a mass of water from the flood-stricken central plains. A small plane crash-landed on a road, hit a car and burst into flames after take-off in Vancouver, sending all nine aboard as well as two in the car to hospital, some with critical injuries, authorities said today. 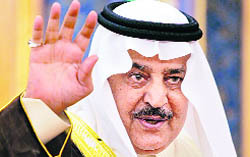 In a widely anticipated move, Saudi Arabia's Interior Minister Prince Nayef bin Abdulaziz Al Saud has been chosen as the country's new Crown Prince and has been appointed Deputy Premier, a royal decree said. Commonwealth member states were today engaged in a heated debate on the issue of setting up a human rights commissioner for the 54-nation body, with a majority of them favouring “further examination” of the suggestion. Heralding an end to over 300 years of English Constitutional tradition, Commonwealth nations today approved changes to the rules of succession, which passed the Crown to the oldest male heir, to allow first-born daughters to inherit the British throne. Navy exercises off Papua New Guinea have uncovered what is believed to be the wreck of a World War-II submarine in a notorious wartime harbour, officials have said. But as victory celebrations were underway, its offices in Sidi Bouzid, the birthplace of the Tunisian revolution, were targeted by youths upset after candidates belonging to rival party were disqualified by election authorities. Late-night results showed Ennahda, banned under dictator Zine el Abidine Ben Ali, took 90 of the 217 seats in an assembly that will rewrite the constitution and appoint a president and a caretaker government. The historic polls nine months after Ben Ali’s ouster, saw the Congress for the Republic (CPR) and Ettakatol emerge as the biggest parties on the splintered left, with 30 and 21 seats, respectively. Both have said they were in coalition talks with Ennahda. Fourth place, or 19 seats, went to the Petition for Justice and Development, a grouping of independents led by Hechmi Haamdi, a rich London-based businessman said to have close ties to Ben Ali. This despite the invalidation of six of its candidates’ lists, including those in Sidi Bouzid in central Tunisia. Haamdi later withdrew from the assembly in protest. The invalidation announcement triggered violent protests in Sidi Bouzid, where an unemployed university graduate set himself on fire in December and sparked the Tunisian uprising that launched region-wide revolts. Large crowds marching on the Ennahda party headquarters in the town overnight where they threw stones at police and burnt tyres in the street, witnesses and officials said. Several public buildings were vandalised but calm had returned by the early morning hours though schools, public buildings and businesses remained closed, an AFP correspondent said. Ennahda’s offices, a municipal building and a local court were damaged in the unrest, and administrative files burnt, interior ministry spokesman Hichem Meddeb said. Alliance warplanes would wind up the mission on Monday after flying more than 26,000 sorties and bombing almost 6,000 targets in an operation that helped a ragtag rebel force oust Muammar Gaddafi. NATO ambassadors meeting in Brussels agreed “by unanimity to end Operation Unified Protector) on October 31,” a diplomat said. The test of the “multi-tube indigenously developed” missile, which has stealth capabilities, was successful, the military said in a statement. The missile with a range of 700 km can carry both nuclear and conventional warheads. “The test will consolidate Pakistan’s strategic deterrence capability and further strengthen national security,” the statement said. The test was aimed at validating the “design parameters of the weapon system.” The military said a “special feature” of the launch was the validation of a “new multi-tube missile launch vehicle”. The vehicle with three missile tubes “enhances manifold the targeting and deployment options in the conventional and nuclear modes”. “With its shoot-and-scoot capability, the missile launch vehicle provides a major force multiplier effect for target employment and survivability,” the statement said. The Hatf-7 or Babur is a “low flying, terrain hugging missile with high manoeuvrability, pinpoint accuracy and radar avoidance features”. Crime Branch officials of Balochistan investigating the killing of Bugti had requested Judicial Magistrate Faisal Hameed to issue the arrest warrants. The Crime Branch had earlier obtained an arrest warrant for former provincial home minister and lawmaker Shoaib Ahmed Nosherwani in the same case. The Balochistan government has requested the federal government to extradite Musharraf, but federal authorities had sought an arrest warrant in order to ask Interpol to issue a red corner notice for the former military ruler, who is currently living outside Pakistan in self-exile. Nawabzada Jamil Bugti, the eldest son of Akbar Bugti, had registered an FIR at Dera Bugti police station in which he alleged that Musharraf, Aziz, former Interior Minister Aftab Ahmed Khan Sherpao, former Governor Owais Ahmed Ghani, ex- Chief Minister Jam Muhammad Yousaf and Nosherwani were involved in the killing of his father. 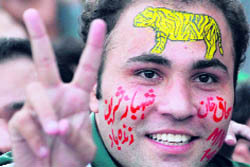 Sharif, the Chief Minister of Punjab province and younger brother of PML-N chief Nawaz Sharif, led a gathering of about 30,000 supporters in chanting the slogan "Go Zardari Go". Sharif and several other PML-N leaders criticised the PPP-led government and Zardari for failing to tackle problems like corruption, price rise and power cuts. "With this gathering as witness, I want to tell Zardari that the 180 million people (of Pakistan) have risen up against you. Vacate your seat by yourself, return our money or you and your looting associates will be hung upside down at this chowk," Sharif told the rally at Bhatti Chowk in Lahore. Floods that have sparked an exodus from the Thai capital crept closer to the city centre today, but hopes grew that emergency barriers would prevent a major overflow from Bangkok’s main river. The city of 12 million people is on heightened alert because of threats on two fronts-a seasonal high tide this weekend that is expected to coincide with the arrival of a mass of water from the flood-stricken central plains. The three-month crisis, triggered by unusually heavy monsoon rains, has left at least 377 people dead and damaged millions of homes and livelihoods, mostly in northern and central Thailand. Thousands of residents have left Bangkok after the government declared a special five-day holiday, flocking to rail and bus stations in the city and jamming roads as they head to areas out of the path of the water. The Kelowna-bound flight had looped back shortly after departure from Vancouver International Airport but fell short of the runway and collided with a car yesterday on a road leading to the airport. “Shortly after departure, the crew advised that they were returning” to the airport, said Northern Thunderbird Air, which operated the Beechcraft King Air 100, Flight 204. “All passengers and crew have been transported to hospital,” the company said in a statement. The pilot and co-pilot are in “very critical condition” in hospital, said the Royal Canadian Mounted Police, while the others are in serious condition. The country's King Abdullah bin Abdulaziz Al Saud, in a royal order issued on last evening, notified the chief and members of the Allegiance-Pledge Commission of his choice. The announcement was subsequently made on state-owned television channels. This has come within a week of the death of Crown Prince Sultan bin Abdulaziz Al Saud. The Commonwealth Heads of Government Meeting (CHOGM), thrown open amid tight security by Queen Elizabeth II with a call for “possitive and enduring results, agreed to add muscle to its ministerial action group to deal with the member nations veering towards violation of human rights. She sought bold reforms to usher in "new vibrancy" for making the Commonwealth "fresh and fit". However, Commonwealth Secretary-General Kamalesh Sharma made it clear that he cannot pre-judge the outcome of the CHOGM which is set to discuss the report of the 11-member Eminent Persons Group (EPG), which suggested a human rights monitor for the grouping as one of its 106 recommendations to improve the organisation. “The EPG report will be discussed by the leaders at their retreat tomorrow. We cannot pre-judge its outcome,” was the refrain of Sharma and Australian Prime Minister Julia Gillard who briefed the media on today’s deliberations. All the 30 recommendations to strengthen the role of the organisation made by the Commonwealth Ministers Action Group (CMAG) have been accepted, Gillard said. She said the decision to strengthen the CMAG by empowering it to engage member nations moving towards serious violation of human rights was motivated by the undemocratic overthrow of the Fijian government in a coup in 2006. Fiji has been suspended from the Commonwealth since 2009. “The recommendations now adopted by leaders provide for a set of objective criteria as triggers for CMAG involvement,” Gillard said. Replying to questions, Foreign Secretary Ranjan Mathai did not agree to a suggestion that the strengthening of the CMAG was a compromise for not setting up a human rights commissioner for the grouping. “There was lively discussion on the subject ...There was consensus at the Foreign Minister’s level that the proposal needed further study,” Mathai said, referring to the EPG recommendation on human rights commissioner. A section of the leaders pointed out that UN rapporteurs were already monitoring the human rights situation and an additional mechanism was not required, officials said. They added that attention was also drawn to the limited availability of funds at the disposal of the Commonwealth, to which some members suggested that funds for programmes that have outlived their utility could be set aside for the human rights commissioner. At the same time, another Indian official pointed out that CMAG recommendations carried weight as it was an inter- governmental body, while the EPG was civil society grouping. The Commonwealth also stood by Sri Lanka as questions were raised on it hosting the next summit following allegations of war crimes during the fight against LTTE. “We will end the male primogeniture rule so that in future the order of succession should be determined simply by the order of birth,” British Prime Minister David Cameron said after a summit of the 16 Commonwealth countries of which Queen Elizabeth II is head of state. The changes to the outdated laws would also allow heirs who marry Roman Catholics to inherit the throne. “We have agreed to scrap the rule which says that no one that marries a Roman Catholic can become monarch,” Cameron said at a press conference with Australian Prime Minister Julia Gillard here. Cameron said the changes would apply to descendents of the Prince of Wales and they will not be applied retrospectively. There has long been discussion about changing the archaic and discriminatory rules, but the issue took on fresh urgency after Prince William, the second in line to the British throne, married Kate Middleton in April. Cameron said the summit backed the changes to the law that gives any daughters born to Prince William and the Duchess of Cambridge the same right to the throne as their sons. He said the changes meant that if Prince William and his wife Kate “were to have a little girl, that girl would one day be our queen.” Cameron said all 16 countries that have the Queen as their head of state have agreed to support the changes. Queen Elizabeth II is head of state of 16 Commonwealth “realms”, including Britain, Australia, New Zealand and Canada. Under the old succession laws, dating back more than 300 years, the heir to the throne is the first-born son of the monarch. Only when there are no sons, as in the case of the Queen’s father George VI, does the Crown pass to the eldest daughter. “The idea that a younger son should become monarch instead of an elder daughter simply because he is a man, or that a future monarch can marry someone of any faith except a Catholic - this way of thinking is at odds with the modern countries that we have become,” Cameron said. Gillard said it was an extraordinary moment. “I’m very enthusiastic about it. 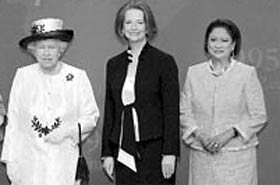 You would expect the first Australian woman Prime Minister to be very enthusiastic about a change which equals equality for women in a new area.” Earlier in the day, the Queen inaugurated the 21st Commonwealth Heads of Government Meeting of the 54-nation grouping here.